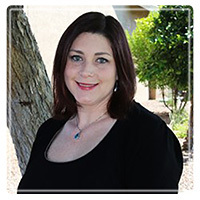 Mesa Therapist: Jessica Sisson - Therapist 85206. Mindful Wellness of Arizona, PLLC was founded in 2017 out of a desire to create a solution focused and person centered natural and holistic approach to therapy. We are dedicated to developing meaningful partnerships with individuals and families in order to provide a personalized journey towards emotional wellness. Here at Mindful Wellness of Arizona, we are passionate about working in conjunction with the community and other professionals to assist in promoting growth and maximizing personal potential.The therapists at Mindful Wellness of Arizona are highly trained and utilize a variety of therapeutic approaches including DBT, CBT, EMDR, Play Therapy, Hypnotherapy, Mindfulness, Comprehensive Energy Psychology and Group therapy among other modalities to facilitate healing, growth and wellness. With over seven years of combined experience, the therapists at Mindful Wellness of Arizona have served a vast array of populations and have addressed a multitude of concerns. We understand the importance of creating a therapeutic rapport with clients and believe in walking the journey of healing and wellness beside each client. Mindfulness and holistic health are central points of our practice and we strive to create a welcoming environment, both physically and emotionally, that is free from judgment and promotes wellness and self-actualization. Graduates of Ottawa University and Capella University, the therapists of Mindful Wellness of Arizona are licensed to practice therapy in the state of Arizona and hold credentials in multiple therapeutic interventions. Our experience spans beyond the therapy office, as the therapists have experience in education, working with individuals with developmental disabilities, and within the business world. The therapists of Mindful Wellness of Arizona recognize the sensitive nature of many concerns that bring clients into therapy and believe in the importance of compassion, acceptance, and confidentiality. We hold ourselves and our practice to high standards will utilize our education, training, experience, and empathy to provide effective and meaningful treatment to our clients. Counseling and assisting adults, children, youth, and families with reaching goals and building a desired life is our passion. We strive meet the needs of each individual client and family by meeting clients where they are and working with them to tailor treatment to meet identified goals. The therapists of Mindful Wellness of Arizona entered the counseling field to make a difference within the community one person and one family at a time. We look forward to working with you to address your needs and to assist you with reaching your goals and full potential.